Arizona Glass Alliance is very happy to announce the first ever winner of the Arizona Glass Alliance Pilchuck scholarship, Warren Norgaard. Warren was selected from several deserving candidates by the staff at Pilchuck, and will be attending a class this June called “Making Ideas Visible”, which includes working in kilncasting, lost wax casting, imagery and print making. The class will be taught by Silvia Levenson, who coincidentally, spoke to our group in March of 2019. Warren is a multi-disciplinary artist whose focus is in fused and cast glass. Working in the glass medium since 1990, his work has been shown and collected internationally. In 2015, Warren opened Milkweed Arts, a multi-disciplinary facility here in Phoenix offering classes in stained glass, fused glass, silk-dyeing, wood turning, and metals, focusing on adult education. 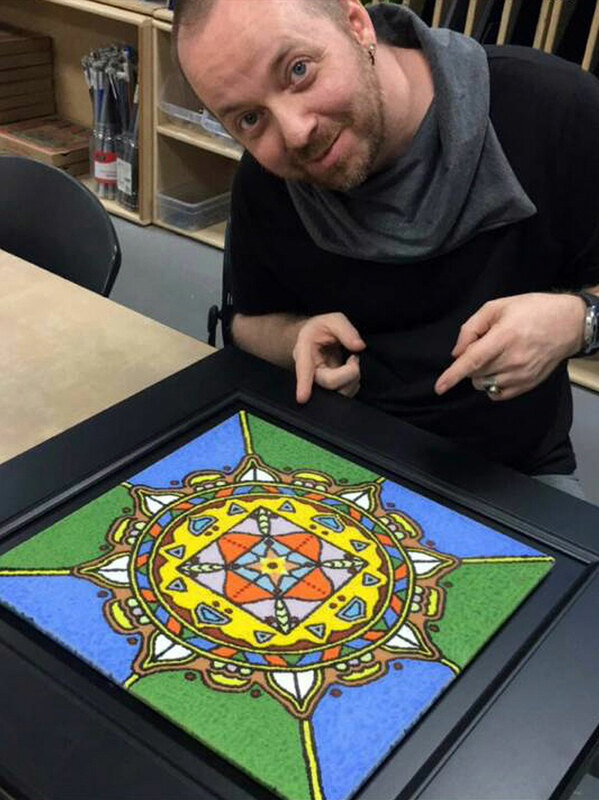 He also travels the country teaching his trademark “Mandala technique” at host studios around the US and Canada. Warren has been an active member of Arizona Glass Alliance for several years. Congratulations Warren from all the members of Arizona Glass Alliance.